Peacock Cart House Escape is another very relaxing escaping game that was developed by TheEscapeGames. 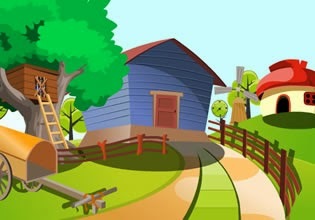 Explore farm, obtain clues and usable objects in order to complete tasks and finish this game. Have fun!